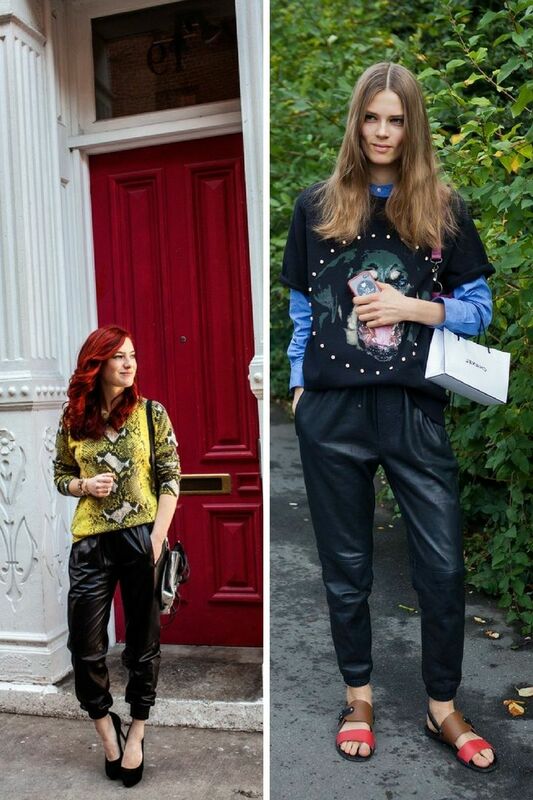 This article is about ways how to wear baggy leather trousers. Does size matter? If we speak about fashion, then size DOES really matter. It’s no secret everyone is obsessed with oversized fashion, as I see women dressed in baggy sweaters, boyfriend jeans, blazers, and bombers. I honestly think there is nothing wrong in going up a few sizes in clothes. If you think oversized clothes can make you look hobo like, then I can assure you, the right balance will do its job! In other words saying, let the comfort meet style. 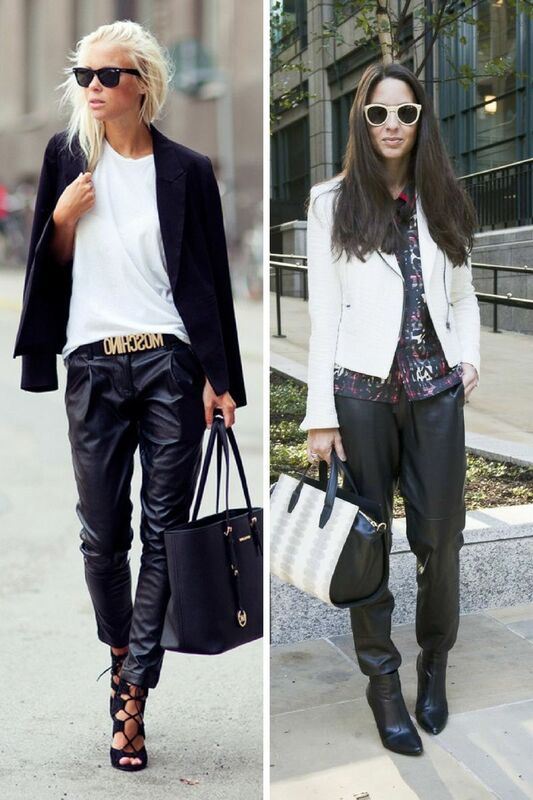 Baggy leather trousers is a good alternative to your everyday bottoms. This garment might sound crazy to you, but once you see street style images of women wearing these bottoms, then you definitely gonna change your mind. I am not saying skinny leather pants are outdated, simply you now have options to choose from. When you see these pants around, you automatically start to think of sporty luxe, where hip-hop meets glamour style. These bottoms look effortlessly cool and modern. Baggy leather trousers are appropriate for various events and situations. You can’t say the same about skin-tight leather pants, right? It’s time to give these bottoms a try and experiment with different proportions and shapes. 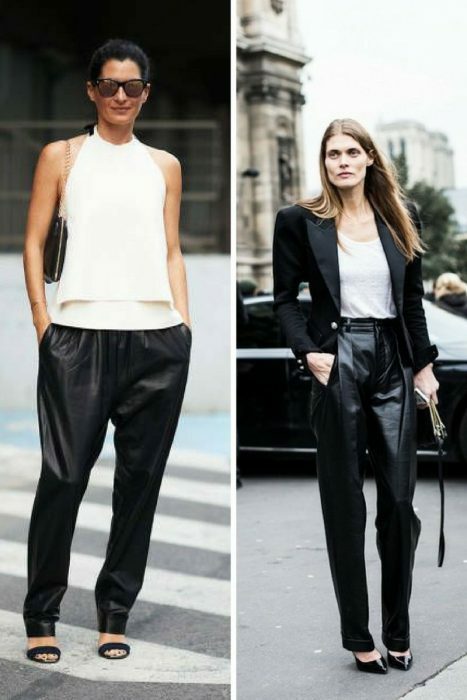 I personally love two leather pants: leather sweatpants that can be easily teamed with heels and kicks, as well as tailored oversized pants that can be teamed with classic shirts and blouses. They are great for wearing to the office, as they look professional paired with classy blouses and blazers. I don’t think you feel comfy in skinny leather pants during work hours, are you? 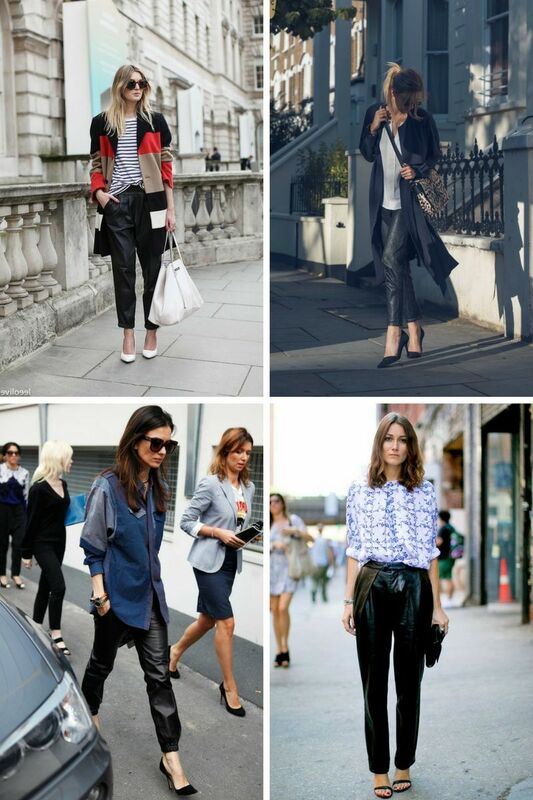 All in all, a baggy pair of leather trousers is an ideal choice for wearing in your everyday life. Just make sure you feel relaxed and cool!